Copyright law can be confusing, but don’t worry—once you have a solid grasp on a few copyright basics, everything else is a little easier to understand. Let’s look at some of the fundamentals to get you started! What types of things can be copyrighted? There’s a lot of misconception out there regarding what can and cannot be copyrighted, but there are two basic criteria: it has to (1) be an expression of an idea (meaning it has to have been expressed and cannot be simply an idea itself), and (2) have some amount of authorship (i.e., not an exact copy of something else). Visual Arts—paintings, photographs, graphic design, website design, etc. Literary Works—novels, short stories, poems, website copy, etc. Audiovisual Works—music videos, movies, television shows, home videos, etc. Remember: It is the expression of an idea that can be copyrighted, not the idea itself. Here’s an example. I can paint a picture of a bird, and you can paint a picture of the same bird. (You intuitively know this; there are many paintings of birds out there.) If you’re copying my picture, you’re infringing on my copyright (my expression of the idea of a bird painting)—but you’re well within your rights to paint your own picture of the bird. I do not own exclusive rights to birds—just my painting. Under usual circumstances, if someone paints a picture, writes a story, or creates any other copyrightable work, that work is automatically protected by a copyright, and that creator automatically owns the copyright—whether or not they register officially with the US Copyright Office (though there are reasons to officially register your copyright other than legal requirements). Of course, there are other circumstances that are far from usual. What about when someone creates a work on your behalf? There are a few exceptions to this. If a work for hire agreement was put in place at the time a painting was commissioned, for example, the party that hired the artists would own the resulting work. Or, after a work has already been created, rights can be transferred to another party by way of a copyright assignment form. What are a copyright holder’s exclusive rights? The person who owns the copyright to a specific work—a book, for instance, or a photograph—has certain special rights to that book or photograph. “Exclusive rights,” of course, means that the copyright owner is the only person in the world (pending any licenses or agreements to the contrary) who can distribute or display their own work, or who can authorize another person to do so. Note: Notice that the last point makes no mention of monetary compensation in return for the copies. The point is that you might be harming the market of the true copyright holder (how many people are going to purchase an album when they already have a free copy? ), and copyright law says that you can neither sell copies nor distribute them by “other transfer of ownership” without permission. How long is a copyright good for? This is a tricky question, as there have been several permutations of copyright law over the last century or so, and the applicable law depends on the year any given work was published or registered. Any works with a known author created in or after 1978 are under copyright protection for the author’s life, plus 70 years. (If there are more than one authors on record, it is the last living author’s life, plus 70 years.) For works that have no recorded author, the term is the shortest of 95 years after publication, or 120 years after creation. Note: There are different copyright terms for works created in 1977 or before, terms which also depend on whether a work has been published or officially registered with the Copyright Office. 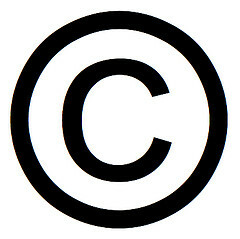 For more information about copyright terms, take a look at the USCO’s circular, “Copyright Basics” (PDF). 1 Pings/Trackbacks for "Copyright Basics: A Beginner’s Guide"